Energy policy has been turned upside down in recent years. When I published the first edition of Energy Politics in 1974, we were in the midst of the so called “energy crisis.” The Arab boycott of 1973, reinforced by OPEC, had sent the price from $3 a barrel to $12 in a year (the equivalent of $55 when adjusted for inflation). This caused a Republican president, Richard Nixon, to impose price controls and establish new agencies in a fashion reminiscent of the New Deal. 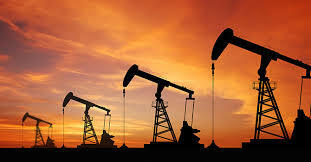 We got the Federal Energy Administration and the Energy Research and Development Administration. Jimmy Carter added the Department of Energy and briefly the Synthetic Fuels Corporation. With the Reagan Administration, we shifted away from command and control to a supposed market solution, which continued in a roughly stable form for three decades. Nevertheless there are many governmental influences. Requirements for ethanol blended into gasoline prop up the price of corn. Nearly half the crop in Iowa goes into automobile fuel tanks. The Energy Policy Act of 1992 experimented with electricity deregulation, resulting in blackouts in California and turmoil in the nuclear industry. Tax laws favor petroleum companies, for example in the form of low rates for exploration and production equipment or treating foreign royalties as if they were taxes that can be deducted from US taxes. Coal, while not as privileged as petroleum, enjoys benefits such as favorable taxation in mining and burning to generate electricity. The cost to dig coal from federal land in the West is low. The cause of the relative stability in energy policy was stable costs. To simplify and adjust for inflation, a barrel of oil cost $110 in 1980, the peak of the energy crisis; $30 from 1986 to 2002; $90 in 2011 to 2014 and $50 for the past nine months. The wild card has been natural gas, now in high supply due to fracking. Fracking also makes more oil recoverable. 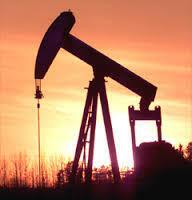 In addition, we are more efficient in burning and refining oil. The U.S. imports only 27 percent, compared to 60 percent in 2006. Furthermore 37 percent of our imports come from Canada. Gasoline prices at the pump are low; last week I paid $1.89 a gallon. We are close to the “energy independence” sought since 1973. Lower prices for oil, natural gas and coal would seem to point to an energy nirvana. The economy will prosper and consumers will benefit. Ratcheting up environmental protection will be relatively painless. Indeed the economic growth rate last quarter was 3.7 percent. Reduced imports from the Middle East will diminish our need for military action there. The stars seem to be aligned.